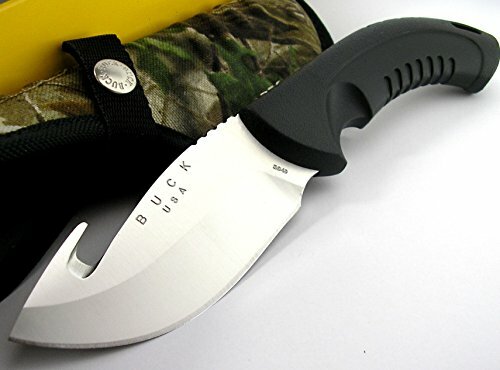 Buck USA 394BO Omni Hunter Guthook 12Pt SANDVIK Steel Fixed Blade Knife by Buck at Historic Charles Street. MPN: 394BO. Hurry! Limited time offer. Offer valid only while supplies last. Black thermoplastic with dynaflex rubber overmold handle. Made in USA. FOR 1 ITEM ONLY!!! If you have any questions about this product by Buck, contact us by completing and submitting the form below. If you are looking for a specif part number, please include it with your message.